Growing up on his family’s farm in Ocala, FL, Chester Weber dreamed of becoming a jockey. But it was in working with the farm’s Clydesdale draft horses that Weber’s true passion for driving became apparent. He got his start by showing Clydesdale teams before moving on to the fast-paced and challenging world of combined driving. Now a six-time national champion in the pair and four-in-hand divisions, Weber regularly competes in international competitions throughout the world. Despite careful management, three of Weber’s team of horses would regularly go off their feed during competitions. 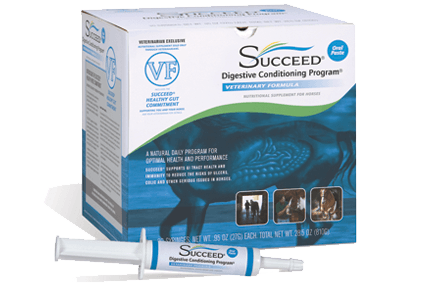 While searching for a solution to the problem, Weber became aware of SUCCEED Digestive Conditioning Program and the effects it had on several successful show jumping horses. He decided to try SUCCEED on those three horses as a trial in 2006. “Within three weeks there was a visible difference. You could easily tell which horses were on SUCCEED, just from their appearance,” he said. Youngest driver ever to qualify for the World Pairs Driving Championships and to be named to the United States Equestrian Team. From 1997 to 1999, racked up a record-setting 12 consecutive wins in advanced combined driving events. Consistently ranked among the top ten drivers internationally. Has won the USET four-in-hand national championship title from 2003 to 2006. Finished fifth at the 2002 World Equestrian Games in Jerez de la Frontera, Spain, helping the U.S team earn its best finish at the World Championships and a Silver medal. Organizes the annual combined driving event, CAI Live Oak, one of only two international events in the United States that is sanctioned by the Fédération Equestre Internationale (FEI). Has won the four-in-hand division of the FEI North American Driving Challenge every year since its inception (2002-2005). Weber declares that he is completely won over by the results he has seen from using SUCCEED®. 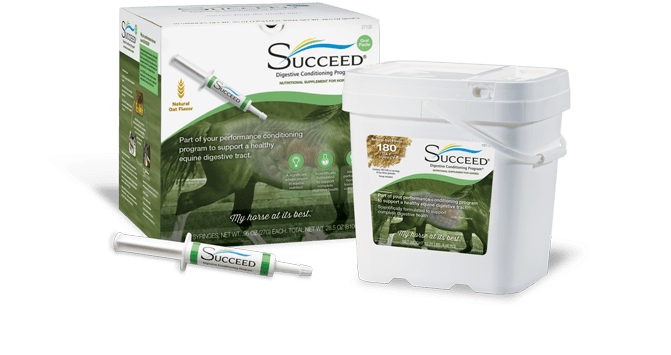 His three problem horses were able to maintain their appetites while traveling, and there was a marked difference in the appearances and temperaments of the horses on SUCCEED®. Impressed by these changes, he has expanded his use of the product to include all nine horses in his international competition string. The results speak for themselves. Weber opened his 2006 season with three straight wins, two of which were at FEI-sanctioned events.